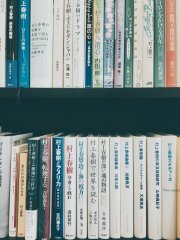 To promote the global academic exchange and insightful research results regarding research in Murakami Haruki’s literature, and therefore describe “Murakami Haruki Studies” from the perspectives of linguistics, literature, pedagogy, cultural anthropology, sociology, translation studies and et cetera. CMSTKU, which is the first Centre for Murakami Haruki Studies in Taiwan will continue the organization of “Haruki Murakami International Symposium”. Papers (Academic Thesis or Education/Research Reports) that has not been published in the subject of above theme from respective field of expertise. Each person is to present only one paper and should refrain from publishing published or duplicated papers. To be displayed at the venue on designated time. Presenter is required to be present while the poster is being displayed. Both forms of presentation will be sorted in sequence for page numbers and will be documented in the proceedings for the event. Both types of presentations will be handled equally. The organiser will review all papers for a second time and select papers that are to be included into “Murakami Haruki Studies Series of Papers”. The number of papers and presenters will be decided after reviews by the committee. All papers are to be submitted by 30th April 2018 (Tuesday), overdue papers will not be entertained. All papers submitted will not be returned regardless of acceptance by the committee.